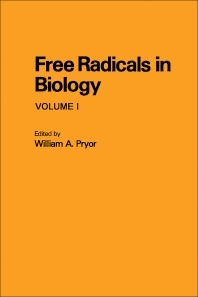 Free Radicals in Biology, Volume 1, provides an introduction to some of the basic concepts of free radical biology. The book emerged from the President's Symposium of the American Society for Experimental Pathology held in Atlantic City in April 1970. The book's opening chapter introduces a mechanistic view of free radical reactions using examples from biological systems. This is followed by a discussion of autoxidative damage to lipids in membranes. Some of the special chemistry of lipid oxidation are presented, and a number of novel ideas are suggested. The third chapter deals with the uses of electron-spin resonance in biology. Spin labeling is also discussed, which is one of the most useful methods of probing the chemical and physical environment of molecules in cells. The remaining chapters cover free radicals which occur in photosynthesis and the importance of the enzyme, superoxide dismutase. The study of the occurrence and reactions of this enzyme provides an important and extensive body of data clearly pointing to the significance of free radicals in cellular chemistry.